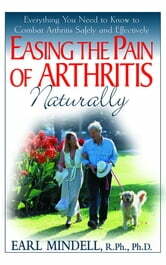 Dr. Mindell presents safe, easy-to-use strategies to help readers achieve optimum health and relief from the discomfort of arthritis. This book features a special 'arthritis-busting' diet to cleanse the body of toxins that contribute to joint diseases and introduces superfoods for alleviating arthritis symptoms. Also covered are simple exercises, herbal and supplemental remedies, and alternative methods such as hypnosis and acupuncture. Ten Ways to Stop The Pain of Plantar Fasciitis Without Surgery or Steroids. Fibromyalgia Diet: The Fibromyalgia Relief Guide from Fibromyalgia and Chronic Myofascial Pain Today!